In the corporate world, employees leaving a job are often asked to sit through an exit interview with HR about their time at the company. That concept doesn’t exist for Broadway performers, but we love checking in with stars as they finish up a successful run. 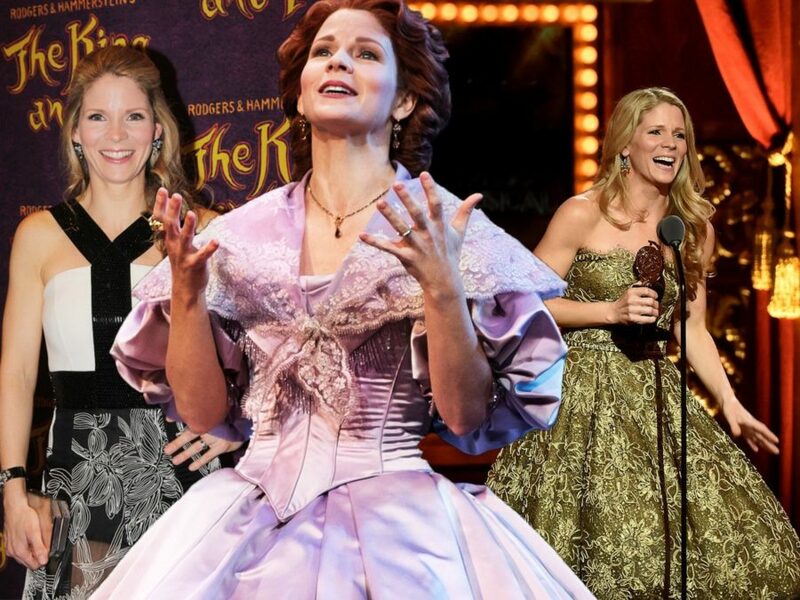 Kelli O’Hara, who was nominated five previous times over a decade, won her first Tony Award for playing Anna Leonowens in The King and I. The actress, who was named the 2015 Broadway.com Star of the Year, will take her final bow in the Tony-winning revival on April 17. We asked the lovable star to participate in Broadway.com’s Exit Interview and tell us all about what she learned, loved and will miss about her time in the classic musical. Excited and a little apprehensive. I didn't know this show/role that well and honestly thought it would be easier than it has been. But the challenges have ultimately been the most fulfilling part. I feel proud of this show, the family we have created at LCT and very grateful that roles like Anna exist, and especially that I was asked to play her. My highlight of any project is always the rehearsal period when the work is really done. I always miss it when it's over. What skills are required for future job applicants? Ha! I never think of our jobs like that. They aren't technical or cookie-cutter. They are emotional and best served by being special to the individual playing them. And my Anna will be different from any other Anna. I guess I would ask, out of respect for my company who will still be there, that the actress has a good moral core, a strong investment in a close company of actors and a warm heart. And I know we have hit the jackpot with Marin Mazzie. Be an observant and quiet leader. Support when it is needed but concentrate on the show itself, and in some way, a healthy, strong show will make for a healthy, loyal company. Anyone who plays Anna will grow, I think. Her strength, her fearlessness and her dedication to something good and just have definitely affected me. She has made me feel stronger and more confident. I miss my own children, and I want more time with them, but I also want to move on creatively. I always itch to do new things professionally. I always have. I will miss my cast more than I can put down in words. They are beautiful, soulful, dedicated artists, and I love them so much. We built this together, and leaving them feels strange and heartbreaking. But I have been around this business long enough to know that I will be with them again and that perhaps my leaving will create a change for them that is creative and healthy and new.